Some of baby’s favorite toys are her musical instruments! 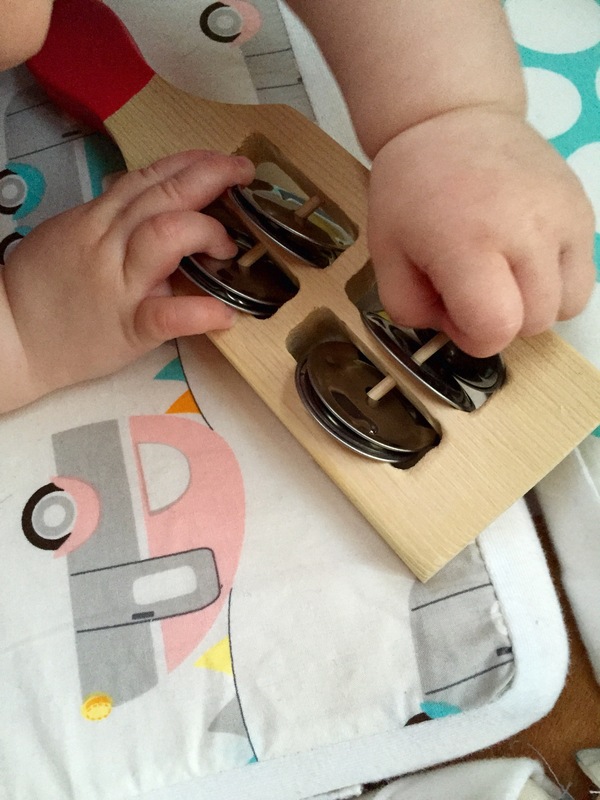 They’re open-ended toys, meaning baby can play with them in a variety of ways: by making sounds with them, by teething on them, by touching their various parts. These are just a few examples. All of these examples work on baby’s fine motor skills and promote self-discovery, self-exploration and self-play. These toys promote singing and listening to music as well as making music and engaging in play as a family. We love Melissa and Doug’s Deluxe Band Set because it comes with a variety of different instruments to play with, their Learn-to-Play Piano and Hape Early Melodies My first Ukelele.